Labeled the ""lot that laughter built,"" the Hal Roach Studios launched the comedic careers of such screen icons as Harold Lloyd, Our Gang, and Laurel and Hardy. With this stable of stars, the Roach enterprise operated for forty-six years on the fringes of the Hollywood studio system during a golden age of cinema. Many of its productions are better remembered today than those by its larger contemporaries. 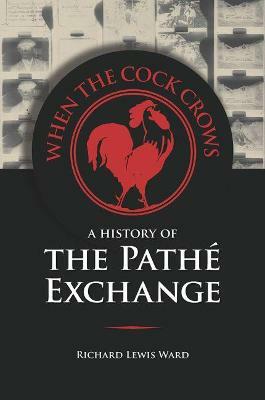 In ""A History of the Hal Roach Studios"", Richard Lewis Ward meticulously follows the timeline of the company's existence from its humble inception in 1914 to its close in 1960 and, through both its obscure and famous productions, traces its resilience to larger trends in the entertainment business. Aided by a comprehensive filmography and production synopses, ""A History of the Hal Roach Studios"" recounts an overlooked chapter in American cinema, not only detailing the business operations of Roach's productions but also exposing the intricate workings of Hollywood's rivalrous moviemaking establishment. Buy A History of the Hal Roach Studios by Richard Lewis Ward from Australia's Online Independent Bookstore, Boomerang Books. Richard Lewis Ward is an associate professor at the University of South Alabama. His essays on Hollywood's studio era and the golden age of television have been published in Media History, Studies in Popular Culture, and Feedback.